Once the applicability of the Code of Criminal Procedure has started on account of any judicial order passed by the learned Magistrate including issuance of notice either under Section 12 or 18 or 19 or 20 or 21 or 22 or 23 or 31 of the Act independently or jointly, remedial measures to the aggrieved person as provided under the Code of Criminal Procedure, 1973 can be said as available, the Division Bench said. 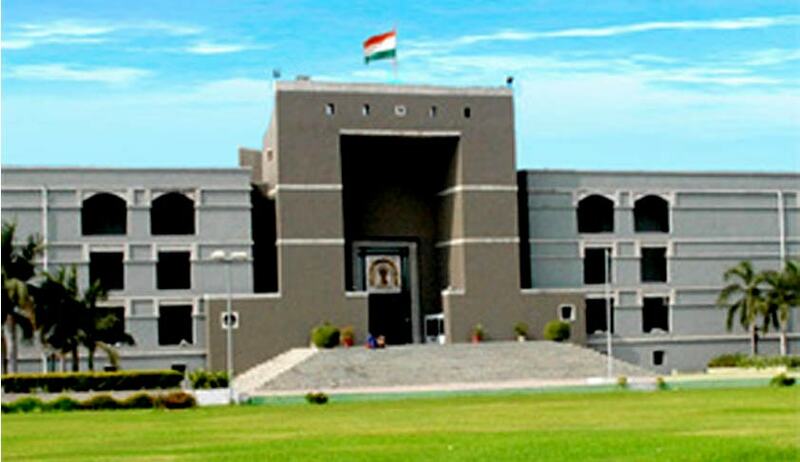 Gujarat High Court has held that Complaints under Domestic Violence Act can be quashed invoking the jurisdiction under Section 482 of the Code of Criminal Procedure. The first bench comprising of Acting Chief Justice Jayant Patel and Justice N V Anjaria held that even though the provisions of the Domestic Violence Act provide for remedial measures for civil rights of women, the machinery provided is through criminal court and hence the Code of Criminal Procedure would apply. The Single Bench, Justice J B Pardiwala, had referred to Division bench the question, whether by invoking Section 482 of CrPC, a High court can quash a complaint filed under the provisions of the Protection of Women from Domestic Violence Act, 2005, after taking note of difference of opinion in two earlier judgment rendered by Single bench of Gujarat High Court. In Narendrakumar @ Nitinbhai Manilal Shah & Ors v. State of Gujarat case, the single bench held that civil remedies are provided under the Act to the aggrieved person. Observing that, there is no reference to the expression “offence or crime” and, therefore, would not fall within the scope and ambit of Section 4(2) of the Code. In Rameshbhai R. Desai case, another single bench, after considering the provisions of Sections 27, 28, 31 and 37 of the Act found that the machinery to secure enforcement of the relief under the Act is under the Code. The Division bench said that remedy under Section 482 of the Code would be available to a person aggrieved due to complaint made under DV Act. The court added that, the fact that as per Section 29, an appeal is provided to the court of Sessions again strengthens the applicability of the Code to the proceedings under the DV Act. It is true that the Act provides for more effective protection of the rights of women guaranteed under the Constitution who are victims of violence of any kind occurring within the family and for matters connected therewith or incidental thereto. But at the same time, one has to keep in mind the express language used by the Parliament for giving literal meaning to the provisions of the Statute, the court said. The provisions of the DV Act provide for remedial measures for civil rights of women but the machinery provided is through criminal court. Initiation of proceedings under Section 12 or 18 or 19 or 20 or 21 or 22 or 23 or 31 of the Act would begin only when the Magistrate has passed any judicial order including of issuance of notice for hearing. Any person affected by any proceedings under the Act, prior to initiation of proceedings under Section 12 of the Act may prefer Special Criminal Application under Article 226 of the Constitution if as per him; the proceedings are beyond the scope and ambit of the Act or without any authority in law. But this Court, while entertaining the petition under Article 226 of the Constitution may decline entertainment of the petition by way of self-imposed restriction in exercise of the judicial powers or may decline entertainment of the petition in exercise of its sound judicial discretion. Once proceedings are initiated under Section 12 or 18 or 19 or 20 or 21 or 22 or 23 or 31 either independently or jointly on account of any judicial order passed by the learned Magistrate including issuance of notice, such proceedings shall be governed by the Code of Criminal Procedure coupled with the power of the Court under Section 28(2) to lay down its own procedure for disposal of an application under Section 12 or under sub-section (2) of Section 23 of the Act. Once the applicability of the Code of Criminal Procedure has started on account of any judicial order passed by the learned Magistrate including issuance of notice either under Section 12 or 18 or 19 or 20 or 21 or 22 or 23 or 31 of the Act independently or jointly, remedial measures to the aggrieved person as provided under the Code of Criminal Procedure, 1973 can be said as available. But the higher forum under the Code of Criminal Procedure, may be the Court of Session or the High Court, may decline entertainment of such proceedings considering the facts and circumstances of the case and as per the settled principles of law and in accordance with law. The aforesaid remedial measures provided under the Code of Criminal Procedure would also include the powers of this Court under Section 482 of the Code, but the Court may, in a given case, decline entertainment of the petition when there is express remedy provided under the Code of Criminal Procedure or no case is made out to prevent the abuse of process of any Court, or no case is made out to secure the ends of justice.